I read this play with my AP English class, and I have to say that I enjoyed it much more than I originally thought I would. I needed to be taught A LOT of history about Greek Theater and information about this story in general, which became a bit tedious after a while. Throughout the story my teacher had to frequently stop and add in details about who the characters were, what the curse entailed, and why it was brought upon the city of Thebes. I’m sure it’s simply due to the old age of this play and the vastly different time period we live in today, but I felt as though there should have been more information given within the play itself. However, I thought that the drama in this play was fantastic, despite the fact that it was quite strange. (I mean, the guy marries his own mother. And has children with her. So she is simultaneously a mother and grandmother to her own children….) It’s engaging and surprisingly easy to relate to, because outrageous and controversial events like this seem to occur all the time today. And who doesn’t like a great twist? 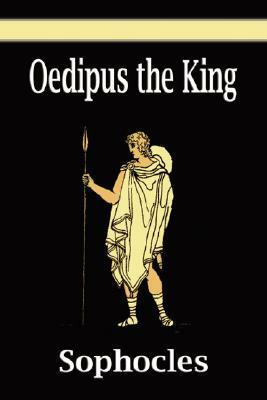 My favorite aspect of Oedipus Rex is the way it focuses on the theme of fate v. free will. Are our lives in some way destined to unfold in a certain direction, or are they strictly the results of the decisions we choose to make? This question is applied to several characters in this play, and it’s interesting to see how they all feel about who has control of their lives. The culture of Ancient Greece promoted the idea that the gods controlled fate and destiny, yet this play speaks largely to the concept of free will. Little did Sophocles know that thousands of years later we would still not have a definitive answer to this question! Overall, Oedipus Rex is an entertaining and thought-provoking play that is sure to make you simultaneously gasp out loud in shock and contemplate the idea of fate v. free will in our lives. Have you ever read this play before? If so, what are your thoughts on it? How do you feel about the question of fate v. free will? Let me know in the comments section below! Eep, the ending is so yucky! I read it for uni and really liked it too, I find it so phenomenal that we’re still reading it after two millennia! Can you imagine have that much longevity?! I liked the discussion of fate vs. free will, especially when you read lots of Greek myths and see how the Greeks believed in the influence of the gods. I read this for my Classical Civilizations GCSE and loved it! It helped that we had had a lot of teaching about ancient Greek culture and the way theatre worked. It also helped, weirdly, being younger (about 15-16) when I read it, because a class of that age will always make you laugh and engage with the story!